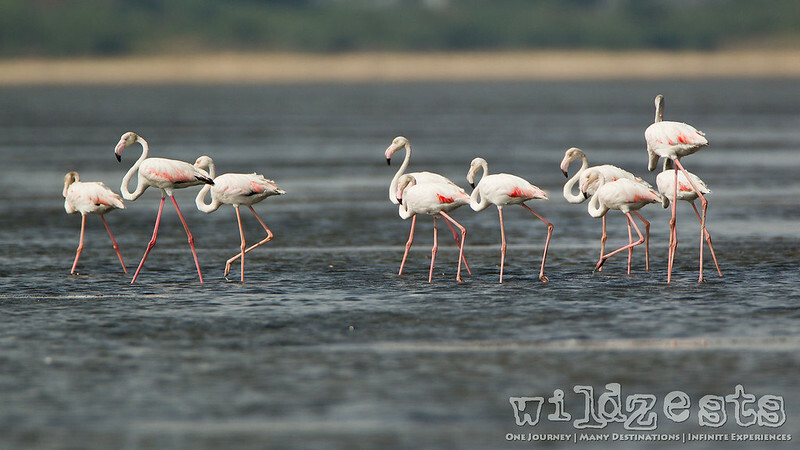 Our trip to the Rann Of Kutch in December 2011 was really nice except for one thing, I didn't any opportunity to photograph the Greater Flamingos. Since then, I was always thinking of visiting the Anamalaichery Bird Sanctuary which is the closest place from Bangalore to watch these beautiful birds. 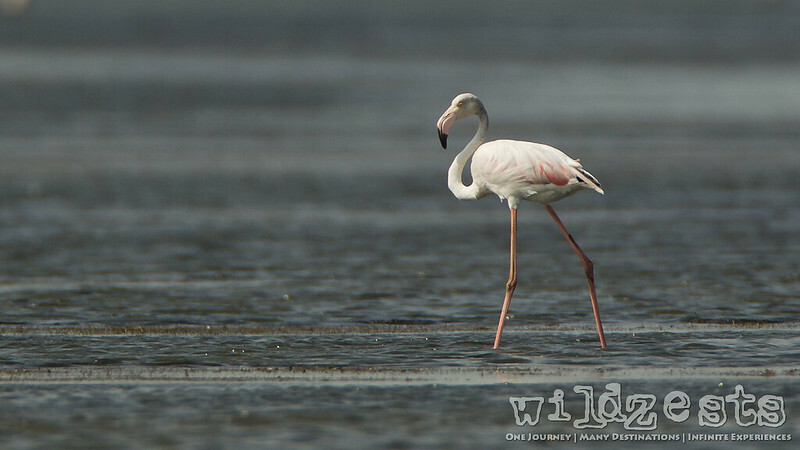 Finally, last week, a random discussion yielded a weekend plan to visit Chennai to explore the bird sanctuary and also visit a friend who's recently moved to the city. We also had the Guindy National Park on our list of places to visit, but the sultry weather made us decide otherwise. Anamalaichery is actually a small village at the shore of a big lagoon also known as the Pulicat Lake which is about 60kms from the main city. It's not really a very well organized tourist spot but more like a local fishing joint and you can hire the local fisherman boats for a 2-3 hour ride through the shallow waters. The water body itself is quite huge and extends in to Andhra Pradesh upto Sriharikota which is a well-known satellite launch site. 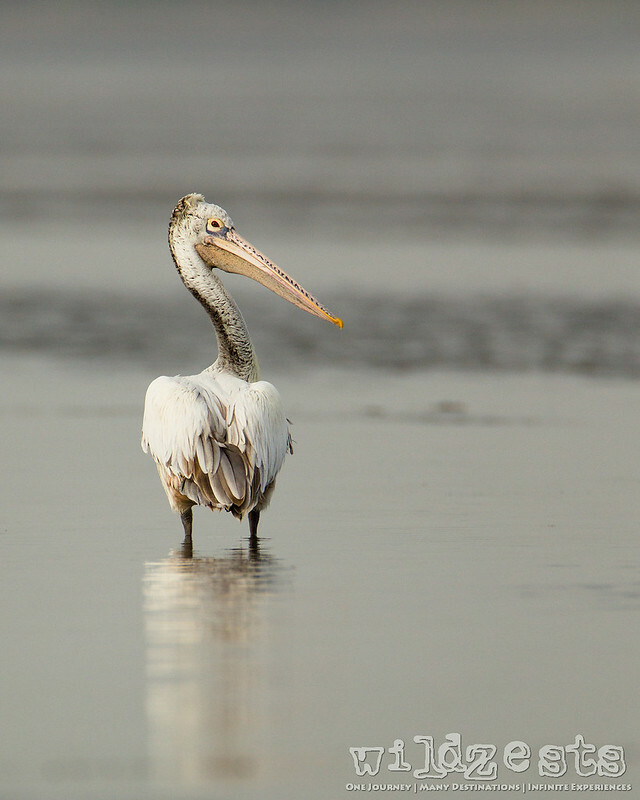 The lake is an ideal habitat for a lot of waders and you can easily spot a variety of Egrets, Herons, Sandpipers, Terns, Pelicans, Storks, Kingfishers and of course, the Flamingos. 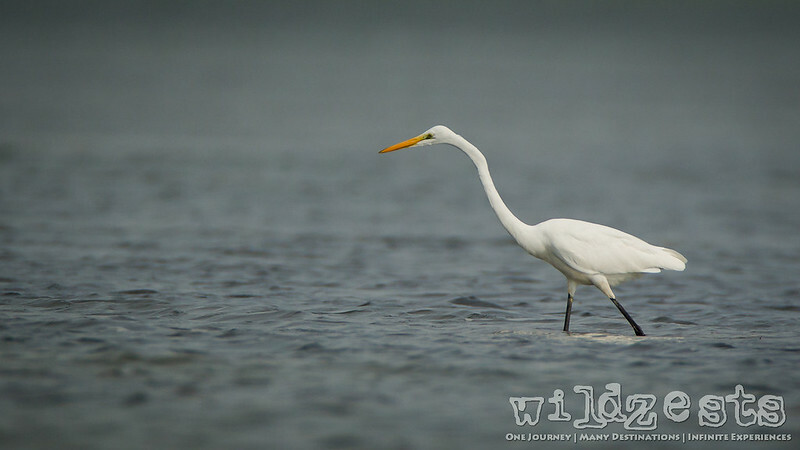 Though October is a little early for the migratory birds to arrive in large numbers, we did get to see most of the expected species. The Greater Flamingos were mostly Juvenile and/or sub-adults which may be a good sign showing that there is indeed some breeding that happened last season. The boats, though convenient are a bit noisy and it would have been good to have some quieter engines in them. Also, the other thing to know is that since the water level is hardly about knee deep in most places, the boats can't make it through to all the places. 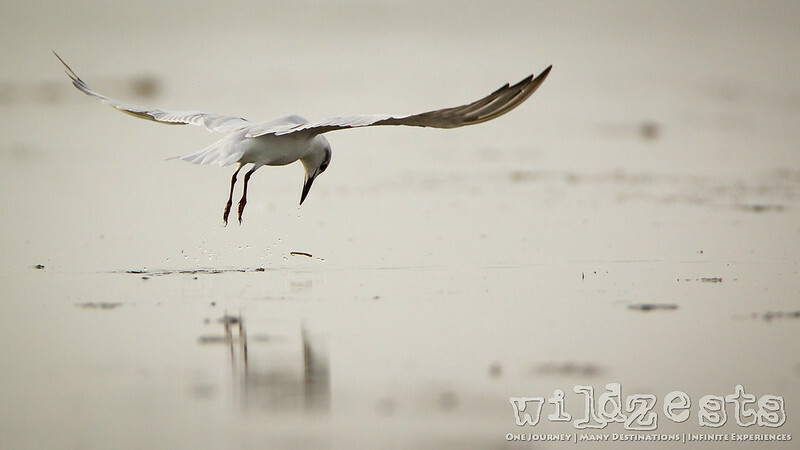 Hence, you may see a lot of birds at a particular spot, but getting there isn't going to be always possible. Walking in the water is an option if you don't mind getting your clothes dirty, but it's a bit tricky with the clay like soil sinking you knee deep at places. You may also be at risk of being bitten by the crabs that are found in plenty here, so it's better to be careful. The boats are quite wide and you could sit down on the floor to get some nice eye level shots of the birds if you do manage to get close enough. Since it's not a very touristy place, the boatmen aren't really well-versed with Hindi or English and communication is a big barrier unless you have someone who knows Tamil. We had to use a lot of gestures to get our guy to understand what we wanted him to do. If you're there to click pictures, you'll need to make sure to have a strategic approach to your angle of shooting to get the sun behind you. The ideal way would be to go seawards and then turn back towards the land if you're shooting in the morning hours. The choice of backgrounds is limited since it's mostly water everywhere but you could get lucky sometimes! Given that the birds can fly and you can't, it's always good to be patient and wait for them to feel comfortable with your presence and then move in slowly. Waiting at a spot helps in observing the behavior and also capturing some of the moments in a pre-visualized manner. Hope you guys enjoyed the short trip to Anamalaichery as much as we did!